Our Bavaria Cruiser is brand new. Award winning yacht design and spacious inside and out. Sail your worries away in our beautiful city! 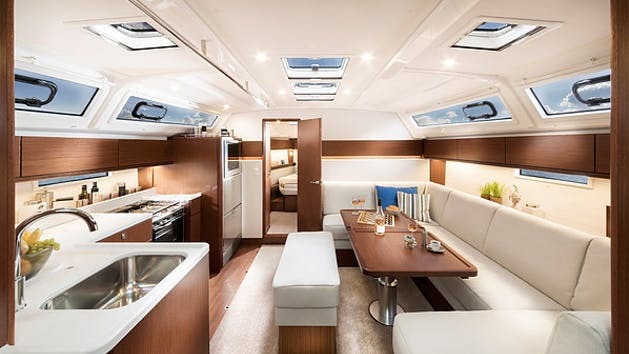 The BAVARIA CRUISER 46 offers nothing but pure sailing pleasure, shared with close friends or family. 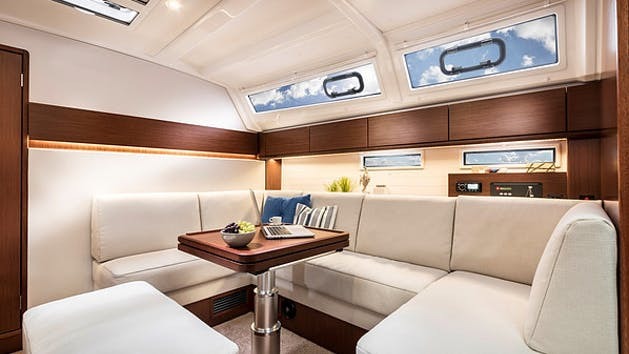 In addition to all the comforts on board, the CRUISER 46 offers yet another big plus: a healthy dose of performance, coupled with safety. Refrigerator, Stereo with AUX, Stove, Oven, Double sink, Cockpit table with ice box/ fold-able wings, TV/DVD, Radar, GPS, Chart Plotter, Swim Platform Shower.